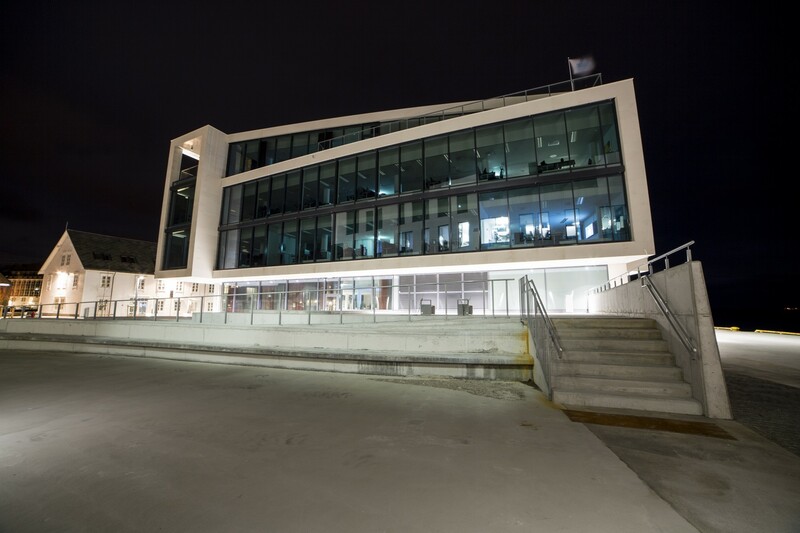 The office building complex Saknsekaia on the coast of the North Sea in Ålesund, Norway was commissioned on February 2016. 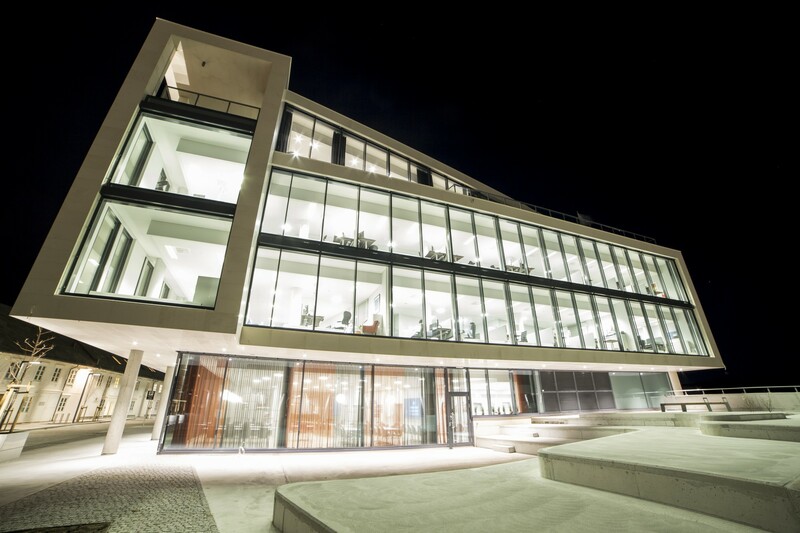 UPB ensured the glass constructions, including windows, automated doors and roof overhead lighting in the area of almost 5000 m2 in this project by designing the constructions, delivering and assembling them. The complex Skansekaia consists of 3 buildings at the height of 3-5 storeys and their total area is 23’000 m2. It is planned to accommodate there 450 offices. 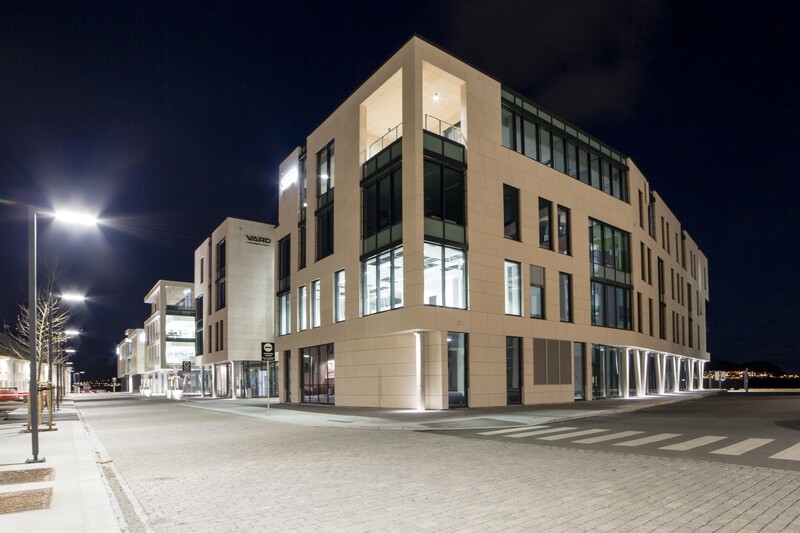 The buildings are located at the city centre at the boat berth therewith the sound insulation of the glass constructions had to be adapted accordingly, and the external parts of the glass constructions were specially anodized in Germany to ensure the quality of constructions and durability thereof. Another challenge was the territory available for the construction works – it was comparatively narrow and many builders performed their works simultaneously. In total, 520 million NOK (56 million EUR) were invested in this project and the construction was commenced in January 2014. Thanks to all employees of UPB for the invested work!